Premium quality across the board. 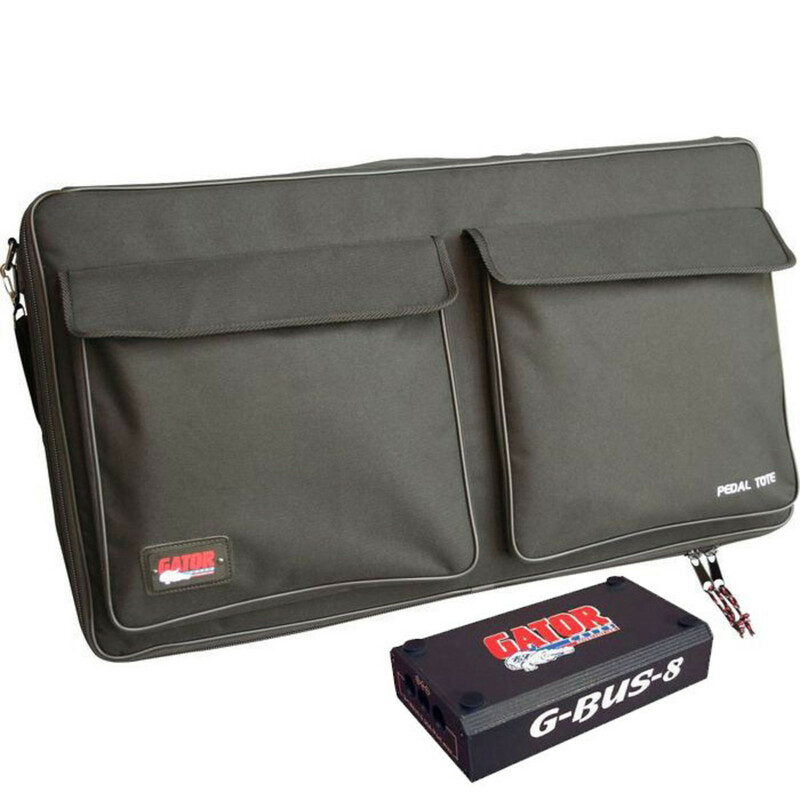 The Gator Pedalboard with GBUS8 and Tote Bag is a comprehensive solution to your pedal needs. A plywood pedalboard features a hook and loop cover for quick and secure fastening. While a carry handle gives real portability for when you need to take your sound on the go. A rugged and durable Nylon padded case makes transportation safe and simple. 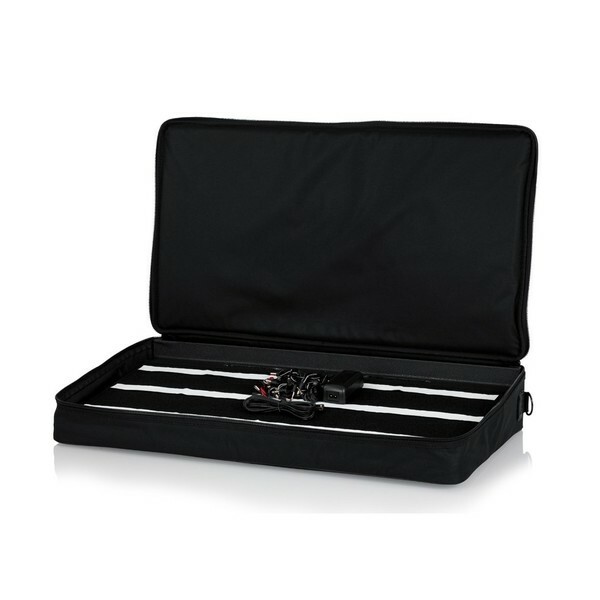 And thanks to the compact design of the pedalboard, it can be slid into your case in an instant. Exterior pockets are perfect for storing cables, while built-in access ports give you fast access to your pedals. Power up. 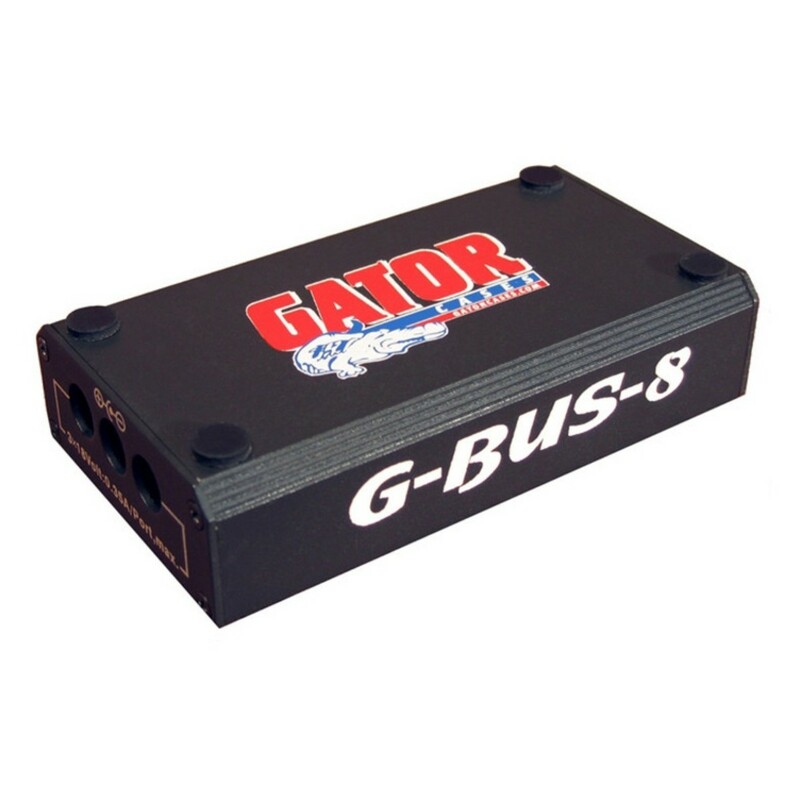 The Gator GBUS8 powers up to 11 standard stomp boxes. A heavy-duty aluminium casing houses eight 9 V and three 18 v outputs. And with short-circuit protection and a reset function you'll be in safe hands. Power up. The Gator GBUS8 powers up to 11 standard stomp boxes. 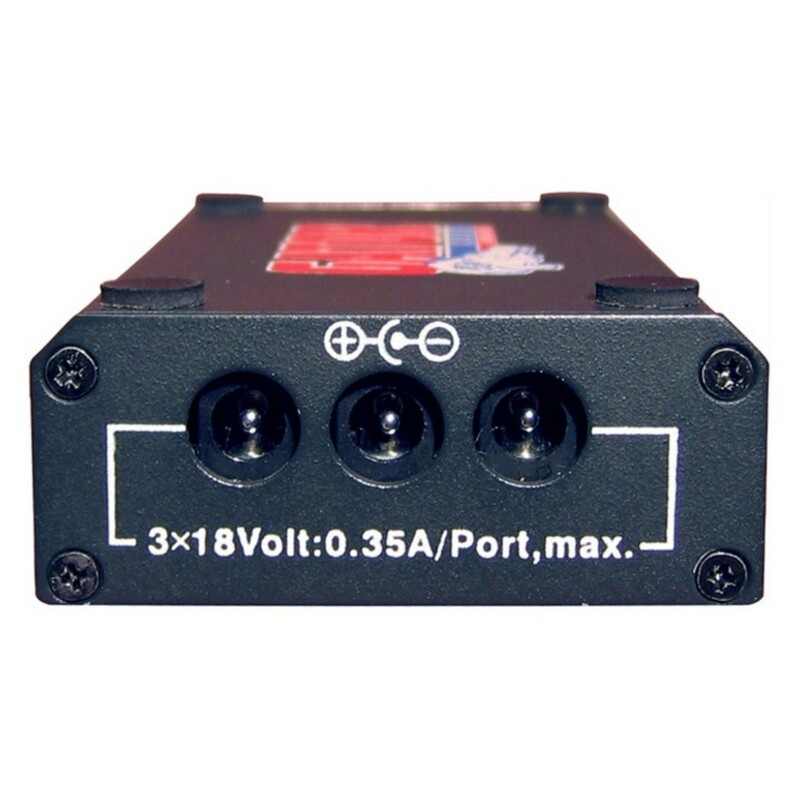 A heavy-duty aluminium casing houses eight 9 V and three 18 v outputs. And with short-circuit protection and a reset function you’ll be in safe hands. Everything you need in one package. The Gator Pedalboard with GBUS8 and Tote Bag ensures you're always performance ready.